New Updates with Professional Voices. Enjoy all of BabyApps on iPad with your toddler/baby. 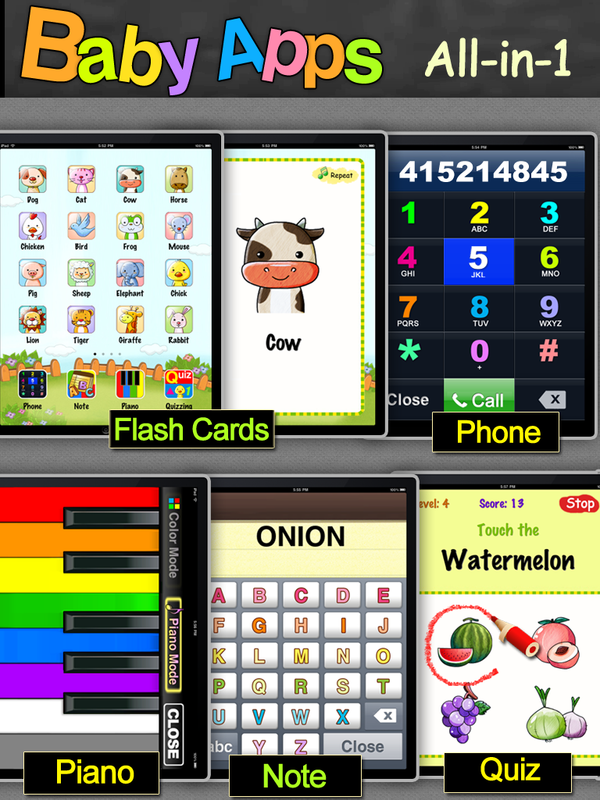 BabyApps for iPad: ALL-IN-1 includes all 5 BabyApps: Flash Cards, Dial-a-phone, Letter-board, Color Piano and Quizzing. - Learn names of animals, foods, natures, life things, colors, numbers and shapes! - Play quiz with fun sound. TRY FREE VERSION! BabyApps for iPad: Dial-a-Phone! !